Detroit’s General Motors Co. today announced a new member to its board of directors and unveiled its all-new 2019 Chevrolet Silverado 1500. Jami Miscik is the 12th member of GM’s board, 11 of whom are outside directors. She serves as CEO and vice chair of Kissinger Associates in New York City, which was founded by statesman Henry Kissinger in 1982. Miscik is an expert in global security and intelligence. Miscik was appointed CEO and vice chair of Kissinger Associates in July 2017 after serving as co-CEO and vice chair since 2015 and president and vice chair since 2009. She served as the deputy director of intelligence at the CIA, and previously held roles at Barclays Capital and Lehman Brothers. She holds a master’s degree in international studies from the University of Denver and a bachelor’s degree in economics and political science from Pepperdine University. 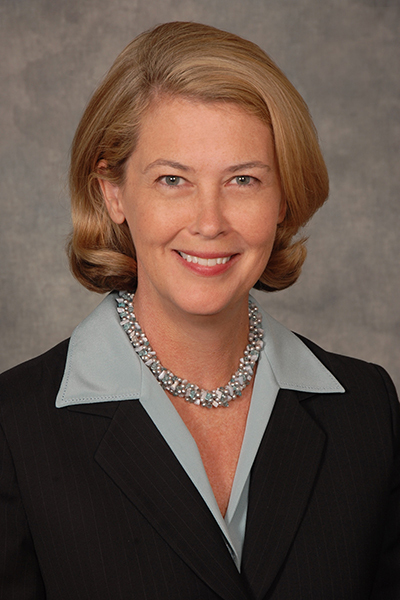 Miscik serves on the board of directors at Morgan Stanley and as the co-vice chair of the Council on Foreign Relations. She also previously served on the President’s Intelligence Advisory Board. In related news, GM unveiled the 2019 Chevrolet Silverado 1500 equipped with a 2.7L Turbo engine that provides an EPA-estimated fuel economy of 20 mpg city and 23 mpg highway, and rear-wheel drive. The base curb weight is 380 pounds less than the current Silverado, which has a 4.3L V-6, despite having more interior room and cargo space. The 2.7L engine offers 14 percent more torque and 13 percent better city fuel economy. It delivers an SAE-certified 310 horsepower and 348 lb-ft of torque, delivering 1,500-4,000 rpm. It can accelerate from 0-60 mph in 6.8 seconds and has a max towing capacity of 7,200 pounds. There is a 2,280-pound max payload. Developed as a truck engine, the 2.7L Turbo has a double overhead cam valvetrain that enables high- and low-lift valve profiles, continuously variable valve timing, and active fuel management, or cylinder deactivation. It also offers a dual-volute turbocharger housing for improved throttle response, low-speed torque, and virtually no turbo lag; Chevrolet’s first application of active thermal management, which uses targeted engine heating and cooling across the entire powertrain system to create optimal conditions for fuel economy and recover otherwise wasted exhaust heat for faster engine and transmission warmup; and start/stop technology that automatically stops the engine in stop-and-go traffic for fuel efficiency. The new Silverado also delivers the largest cargo volume of any full-size truck on the market. It offers eight trims paired with six engine/transmission combinations. Next articleMonroe’s MBT Financial Corp. Acquired by Indiana’s First Merchants Corp.